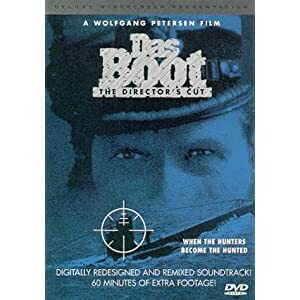 This entry was posted in Movie, War Movie, War Movie Posters, WWII and tagged Das Boot, Movie Posters, Movies, War Movies, WWII. And the American one makes it look like it was more of a movie on naval combat… The colors are also very horrible. Number 3 without a doubt. I like the first one. I love the intensity in his eyes. I haven’t seen this movie in years. Great film. The first isn’t a bad one either but I find no. 3 spookier. The movie is absolutely fantastic. Really ? It is almost like 3. I would have thought you agree on 7. Number 2 and 3, they both look mysterious. I agree. Have you seen it? It is such an excellent movie. You need to watch it, it’s very good. Among my Top 20.